Oct. 12-14: Be Greek for a Weekend at Francis Field! 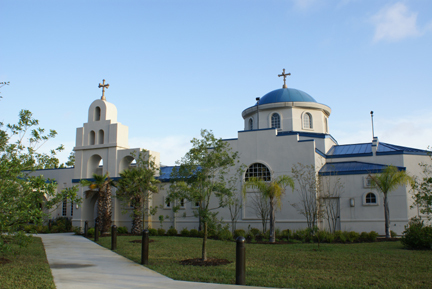 You’ll experience so much of Greece at the St. Augustine Greek Festival — authentic food, dancing, music and heritage. Taste from our homemade Greek foods and pastries; join us in traditional Greek dancing and music, an outdoor marketplace, Kids Center with carnival rides, games, other children’s activities, and much more. Admission: $5. Kids 16 and under and military members with ID are free. Join us at Francis Field, downtown St Augustine, near the parking garage. Eat in or take out. On behalf of The Holy Trinity Church of St. Augustine we wish to extend an invitation to you to attend our annual Greek Festival. The Holy Trinity Festival is truly a labor of love by our parishioners. Months of preparation go into the planning and presentation of this event. Food, music and dancing are not the only attractions offered at this festival. This three-day cultural event provides an opportunity for our church to share our culture and faith with the St. Augustine community. Greek Festival St. Augustine added 4 new photos. Copyright - Holy Trinity Greek Orthodox Church. Website Created by MyDeliverer/BilleterMedia.